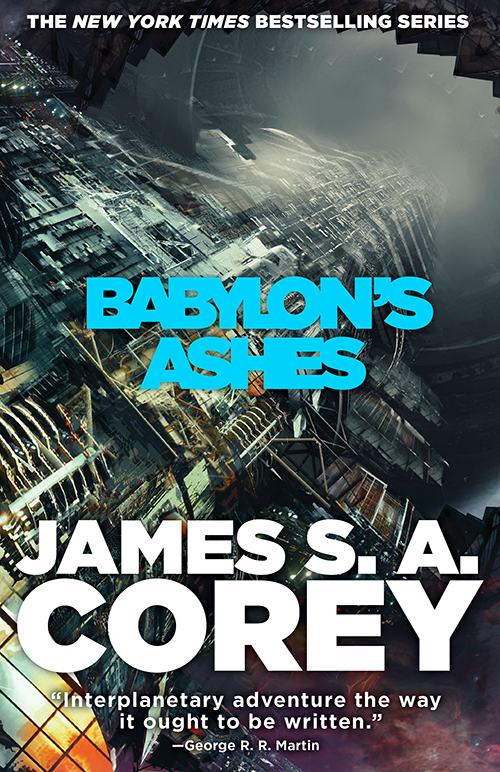 We’re excited to be able to share the cover for Babylon’s Ashes (coming out in June 2016), the sixth novel in James S.A. Corey’s New York Times bestselling Expanse series – now a new original series from the Syfy Channel, premiering December 14th 2015. Artist Daniel Dociu, Designer Kirk Benshoff. 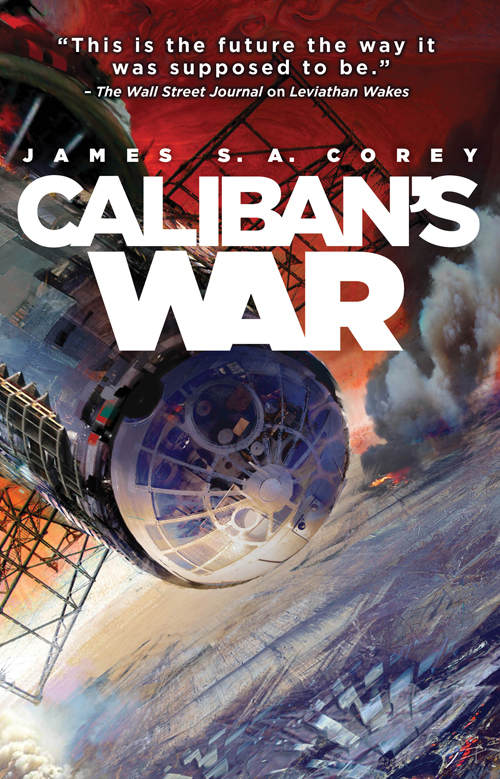 The Free Navy – a violent group of Belters in black-market military ships – has crippled the Earth and begun a campaign of piracy and violence among the outer planets. 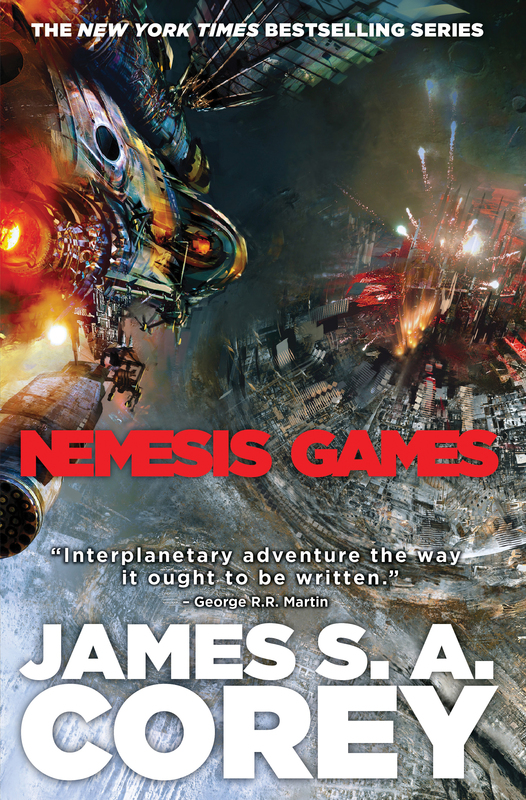 The colony ships heading for the thousand new worlds on the far side of the alien ring gates are easy prey, and no single navy remains strong enough to protect them. But the new alliances are as flawed as the old, and the struggle for power has only just begun. 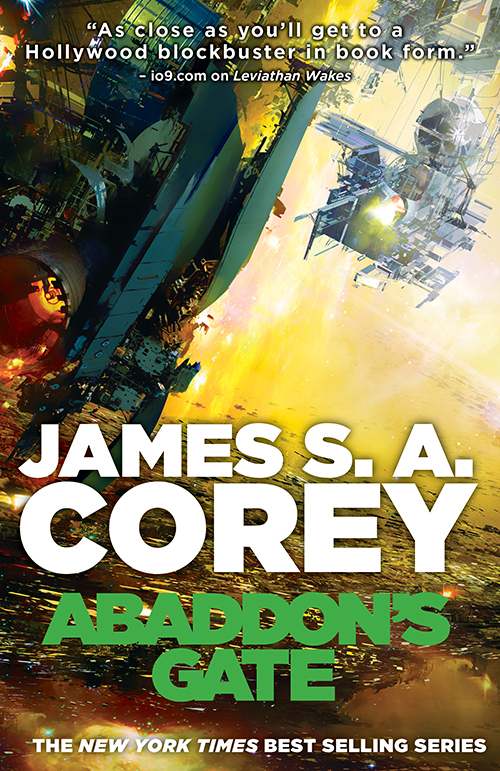 As the chaos grows, an alien mystery deepens. 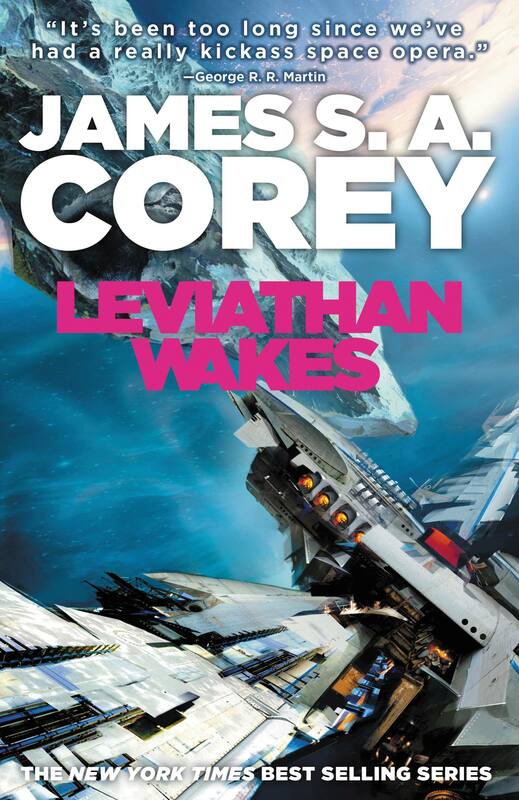 Pirate fleets, mutiny, and betrayal may be the least of the Rocinante’s problems. And in the uncanny spaces past the ring gates, the choices of a few damaged and desperate people may determine the fate of more than just humanity. 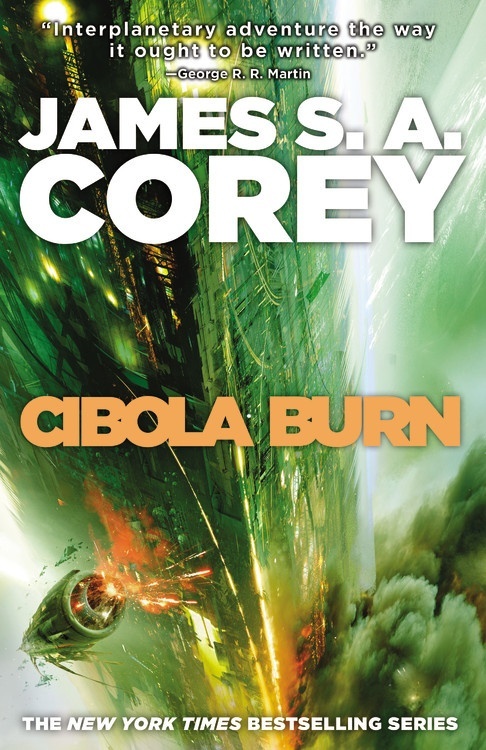 If you haven’t started the series then don’t delay! For more work by Daniel Dociu, visit his website.